Are you looking to transform the interior of your home with a customised colour scheme? If you are, you should call the team at Acorn Building Contracts on 02380 243 336 or 02381 780 546. We are a dedicated team of professional tradespeople that can help you turn your current home into the vision you wanted it to be. If you have been thinking that your home could do with some updating or a change of tone, then you need the professionals. Our team of qualified and professional painting contractors in Southampton offer comprehensive decorating services. No matter what you envision for your home or business property, our painting and decorating service Southampton can give you a result that is sure to impress and exceed your expectations. Whether you are looking for a minimalist and simple decoration style or would like intricate decorative effects, our painting contractors Southampton can give you any combination of styles and effects that you desire. When it comes to home decoration, it should be an extension of you. It should reflect your personality in some way, and provide you with an atmosphere that is truly comforting and pleasing to behold. We are painting contractors in Southampton that can help you bring this to fruition and give you the level of aesthetic excellence you have wanted for your home all along. Our painting contractors Southampton understand that the aesthetics of the building that is home to your company can play a major part in the success of your business. A clean, crisp appearance will promote your company to your potential clients and business partners without you saying a word. Whether you want to create a serious and professional atmosphere or a cheerful and welcoming swathe of colour, Acorn Building Contracts can give you the aesthetic you are looking for. We understand as painting contractors Southampton, you can’t afford to have major disruptions for the sake of our painting and decorating service Southampton. This is why we are able to accommodate evenings and weekends into our schedule so that you can carry on as normally as possible. Why Choose Our Painting Contractors Southampton? You may be under the impression that there is a multitude of building contractors that can paint and decorate, and that is true. There is only one that can provide you with a level of service that we do for all of our clients. When you come to Acorn Building Contracts, you can expect a courteous and polite team of professional tradespeople. This will be accompanied by results that will exceed all of your expectations, and you will be left with a sense of supreme confidence that we are the only contractors you need. Your initial contact with our painting contractors in Southampton will establish an outline for what you would like us to achieve. Afterwards, we will arrange a visit to view your home and discuss your requirements in further detail. We will take the time to completely understand what is important to you, and give you ideas and suggestions that you may want to incorporate. We will produce a free, no-obligation quotation for the project, and if you are happy to proceed, we will provide a schedule to let you know an accurately estimated timescale with all major stepping stones indicated. If you would like interim updates, we are always available for you to ask. The quotation is all inclusive, so you won’t be greeted with unexpected or hidden costs halfway through the projects. Any adjustments will be due to alterations in the design or complications with the building work that will have been unforeseen to start with. There won’t be any additional costs without consulting you fully beforehand, and won’t be implemented without your agreement. 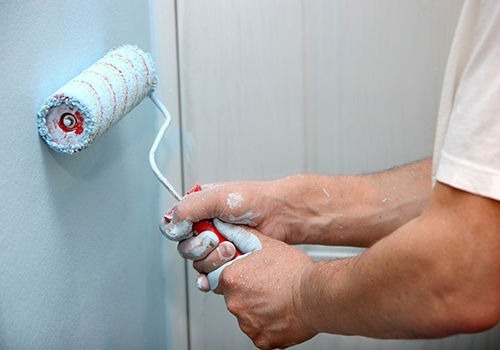 Are you ready to start transforming the appearance of your home or business with the most skilled painting contractors Southampton has to offer? Call Acorn Building Contracts today on 02380 243 336 or 02381 780 546. 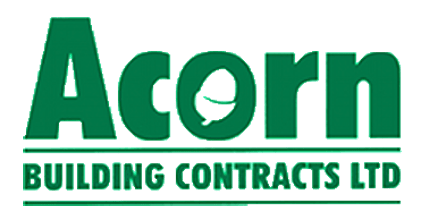 Alternatively, if you would like to contact us in writing about your project or to send us an enquiry in writing, please fill in our easy to use online form or send an email to us at acornbuilding@gmail.com.